From the director of the critically acclaimed Night Train and Uniform comes this neo-noir film that is driven by an award-winning performance by lead actor Liao Fan. In 1999, officer Zhang Zili has been divorced and is given a case involving a hand found in a coal mine. As Zhang and his partner Wang search for clues, they find suspects in coal truck driver Liu Yifan and his younger brother. A confrontation at a local hair salon causes Liu’s brother to shoot two officers, forcing Zhang to shoot the killer. When Liu attempts to shoot, Zhang shoots but runs out of bullets. Before he dies, Liu shoots Zhang, who is okay but as a result of what had transpired, Zhang has lost his job. Flash forward five years. Zhang, having lost all but his mind, is a drunken recluse who works as a factory security guard. He learns his partner Wang has been promoted to detective. When Zhang sees Wang, he learns of two murders that had occurred, one in 2001 and one just recently. The two deaths are connected by Wu Zhizheng, a laundry cleaner who happens to be the wife of the 1999 victim. In an effort to redeem himself, Zhang decides to somehow have Wu date him so that he may find out who the killer is. What Zhang didn’t expect was to fall in love with her, but he will soon find something completely unexpected involving the cases. Writer-director Diao Yinan has crafted a really good neo-noir film about a series of murders in which the victims’ body parts are found in coal stacks. The film starts in 1999 with the first of three murder cases then flash forwards to 2004. The film is more about the series of murders, but the film involves one former officer’s shot at redemption and the great lengths he must go through in order to get that redemption. Liao Fan is just great to watch as the redemption-seeking Zhang Zili. He may seem to have an overbearing libido at times, as seen when he gives his soon-to-be-ex wife a “goodbye present”. Zhang isn’t the reckless type in the opening of the film, but it’s clear when he loses it all, he spends his nights drinking and going to work hungover, as if he doesn’t care until he is given the chance to redeem himself. He won the Best Actor awards (and rightfully so) at the Berlin and Odessa Film Festival and at the Asian Film Awards for his performance. As for Taiwanese actress Gwei Mei-Lun, she brilliantly pulls off a performance that isn’t so much femme fatale but more straight-laced as Wu Zhizheng, the wife of the film’s first victim whom we learn is connected as the last two victims were lovers after her late husband. The film’s sort of slow pace in the middle focuses on their budding relationship and it proves to be vital in the overall film. The film’s overall story is well done as it takes some interesting turns. While the killer is revealed one hour into the film, the consistency of twists and turns just makes the film more exciting. The violence itself isn’t too brutal but more subtle, even when the killer’s revelation results in a brutal looking murder but not shown in a gory fashion. Perhaps this could be in part due to the possibility of Chinese censoring, who knows. However, the story is well thought out and the twists and turns make for quite a watchable neo-noir film. 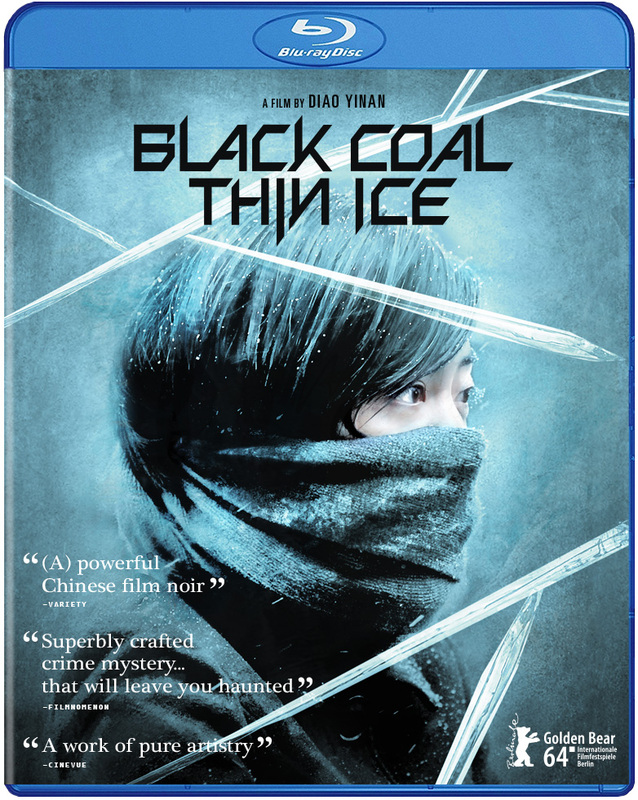 Black Coal, Thin Ice is a well-made neo-noir thriller that not only has some intricate and well played out twists, but the performances of Liao Fan and Gwei Mei-Lun truly stand out. If you like neo-noir, then this is recommended. A China Film Co. Ltd. production in association with Omnijoi Media Corporation and Boneyard Entertainment China Limited. Director: Diao Yinan. Producers: Vivian Qu and Wan Juan. Writer: Diao Yinan. Cinematography: Dong Jinsong. Editing: Yang Hongyu. Cast: Liao Fan, Gwei Lun-Mei, Wang Xuebing, Wang Jingchun, Yu Ailei, Ni Jingyang. Next Next post: Yen vs. Tyson: “Ip Man 3” set for Christmas Day!